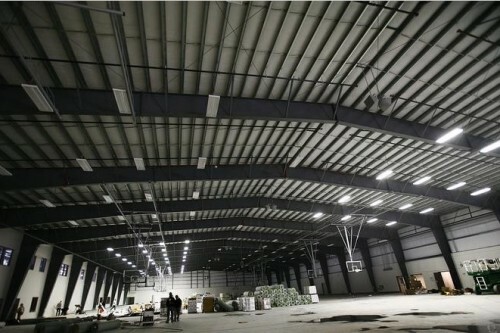 Furnished and installed two, 150′ clear span engineered steel building structures for the arenas. 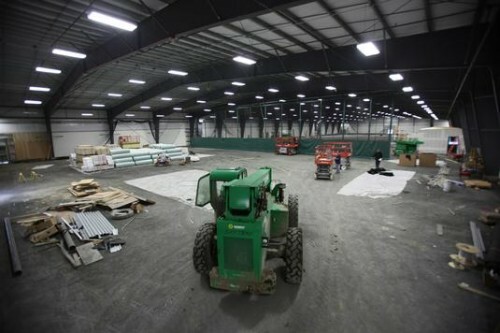 Fabricated and installed the Structural Steel and Miscellaneous Iron for the support buildings. 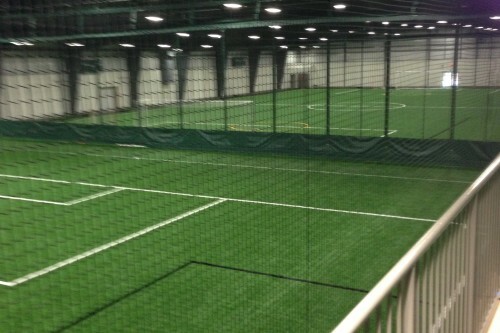 Fabricated and installed the complete mezzanine, all stairs and architectural rail systems. 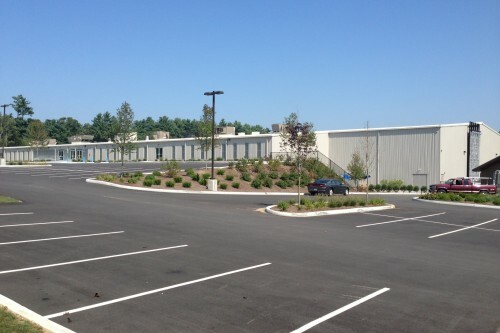 BARNES provided the owners a complete single source steel package! 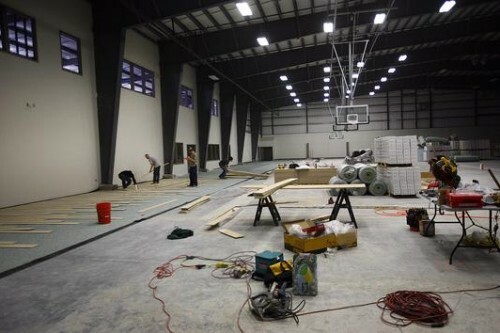 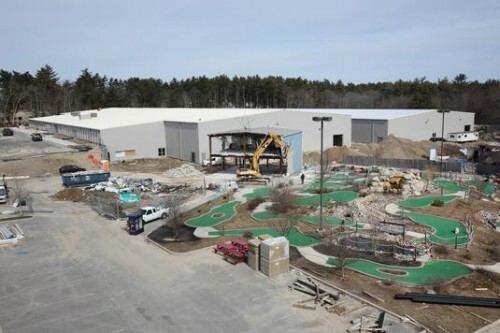 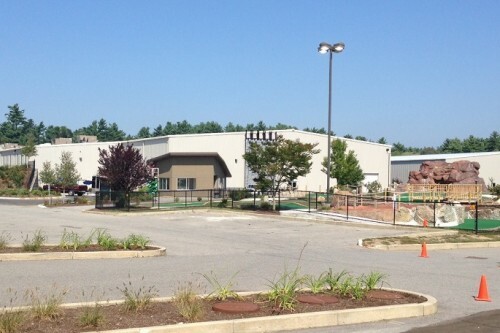 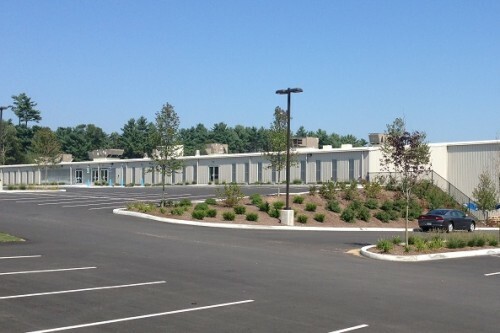 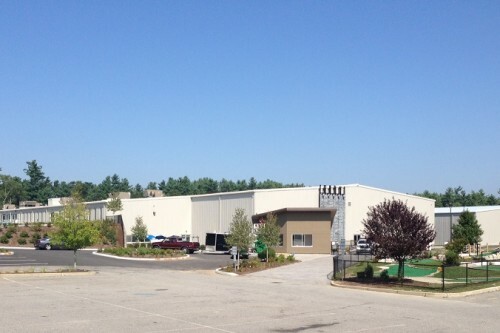 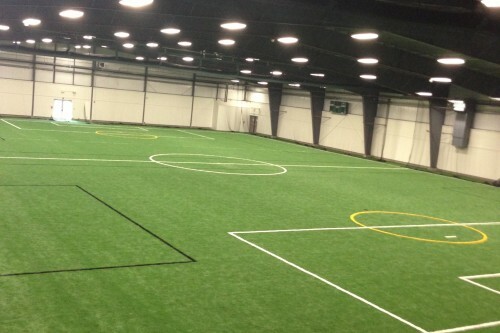 In total there is four interconnected steel-framed buildings including two 63,000-square-foot buildings, connected by a 2,000-square-foot locker and bathroom facility, which was built on the sloping field that once served as Starland’s driving range. 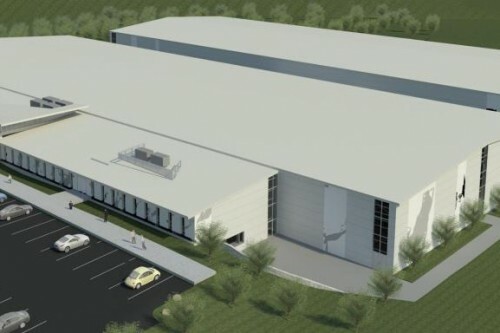 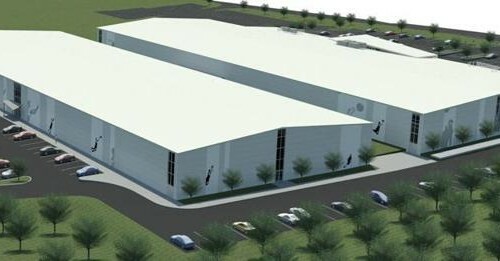 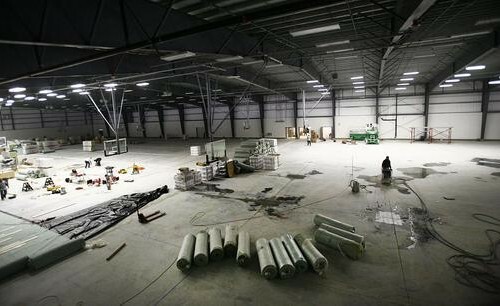 The new sports complex will also feature a 35,000-square-foot front building with snack bar, arcade, and laser tag. 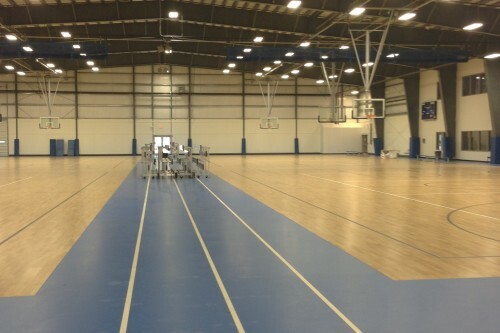 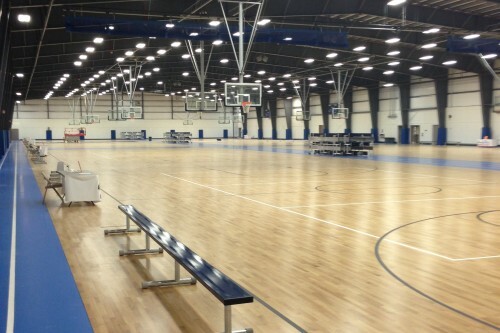 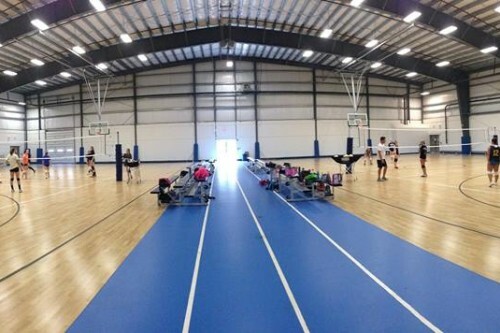 This New University Sports Complex at StarLand is the largest state of the art indoor basketball and sports facility in all of New England!